Originally published in French in 1864, the first English translation of this classic of adventure and science fiction was published in 1871. The book describes the journey of a scientist, his nephew, and their guide through the Earth's interior by way of volcanic tubes. Along the way, they encounter various threats and wonders, seeing evidence of earlier stages in the planet's development. Chapter IX. ICELAND! BUT WHAT NEXT? Chapter XXIV. WELL SAID, OLD MOLE! CANST THOU WORK I' THE GROUND SO FAST? CHAPTER XLIII. SHOT OUT OF A VOLCANO AT LAST! Verne, Jules. The Journey to the Center of the Earth. Lit2Go Edition. 1871. Web. <https://etc.usf.edu/lit2go/222/the-journey-to-the-center-of-the-earth/>. April 18, 2019. 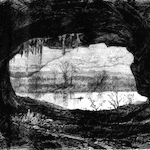 Jules Verne, The Journey to the Center of the Earth, Li2Go edition, (1871), accessed April 18, 2019, https://etc.usf.edu/lit2go/222/the-journey-to-the-center-of-the-earth/.